Dukan Diet Secrets - Lose Weight Fast & Keep It Off! Dukan Diet Secrets - Lose Weight Fast & Keep It Off! What are the Dukan Diet Secrets? 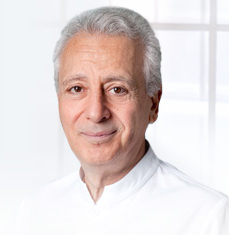 Nutritionist, Pierre Dukan wants to share his Dukan Diet Secrets with you! Without the Dukan Diet Secrets, losing weight can seem like an uphill task when you are not sure of what to eat and what to avoid. Failure to lose weight, even after following rigid diets and rigorous exercises, can lead to frustration, which is the main reason why most people abandon their efforts midway. However, there is one revolutionary technique which claims to have helped many to achieve a desirable weight. Named after a French nutritionist, Pierre Dukan who is credited for introducing this amazing weight loss plan to the world, Dukan Diet is considered a permanent and natural way of losing weight. Taking inspiration from the eating habits of primitive man, the whole idea of this diet plan is centered on consuming protein. There are 100 foods, 28 sourced from plants and 72 from animals, which are allowed to be consumed in four phases of this diet plan. The first phase is Dukan Diet Attack Phase, in which you are allowed to eat lean protein, apart from one and half liters of water and one and a half tablespoon of oat bran, daily. You can select from the approved list of 72 foods, such as fish, eggs, soy, poultry etc. This promotes rapid weight loss, which acts as a motivation for the dieter to continue his efforts. Then follows the Dukan Diet Cruise Phase, where you include 28 vegetables in your diet, along with two tablespoons of oat bran and water. Vegetables allowed in this phase of Dukan Diet do not have starch, so you can eat spinach, green beans and lettuce, but not corn, peas and carrots. This phase leads the dieter gradually towards his targeted weight. The Dukan Diet Consolidation Phase is the third phase which is aimed at establishing the new weight and avoiding any chances of regain. The foods, which were not allowed in earlier phases, are slowly introduced in the diet. The dieter is also allowed to have two celebration meals every week, along with one day dedicated to only protein diet. Last phase is the Dukan Diet Stabilization Phase, which actually continues throughout your life. Once you have developed a diet pattern, you need to follow it religiously to maintain the same weight. The rules to be followed include: three tablespoons of oat bran, 20 minutes of walk and taking stairs instead of elevators and only protein diet once a week. Unlike other diet plans, which require you to count calories and eat only limited portions, these Dukan Diet secrets allows you to eat as much as you want, provided you are sticking to these 100 foods and adopt an active lifestyle.